NYTimes article on how newyorkers overcome Sandy on two wheels. 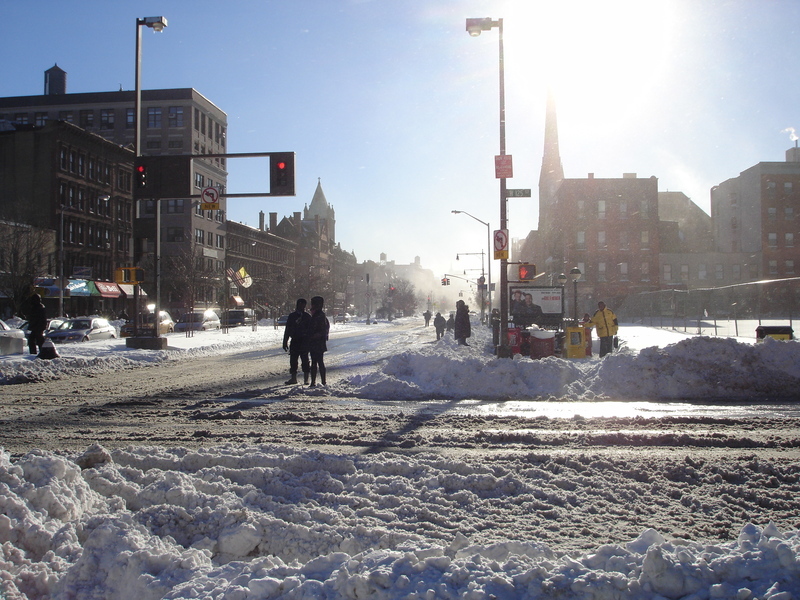 This entry was posted in life and tagged New York, new york city, nyc on November 3, 2012 by Xavi. So I’m a bagel fan. I’m not going to say I eat them every day, but I probably eat more than five a week. I really love this simple jewish culinary product. Such a simple product with so many possibilities. You can have it for breakfast, lunch, quick snack and dinner. It’s full of possibilities. 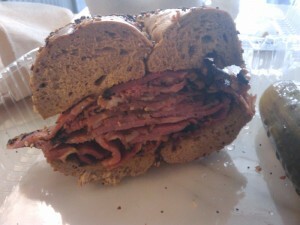 So this Saturday afternoon I had lunch at Murray’s bagels. Simple everything whole wheat bagel with pastrami, nothing else. The bagel was not very shinny, probably because of the poppy and sesame seeds among other things, but it was perfectly dense and chewy. 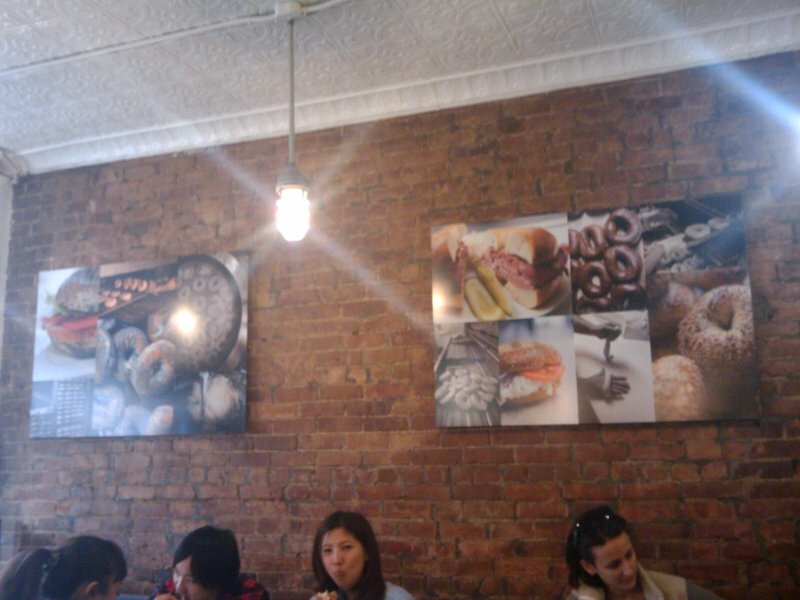 It was also puffy and not sweet which is how I like my bagels. 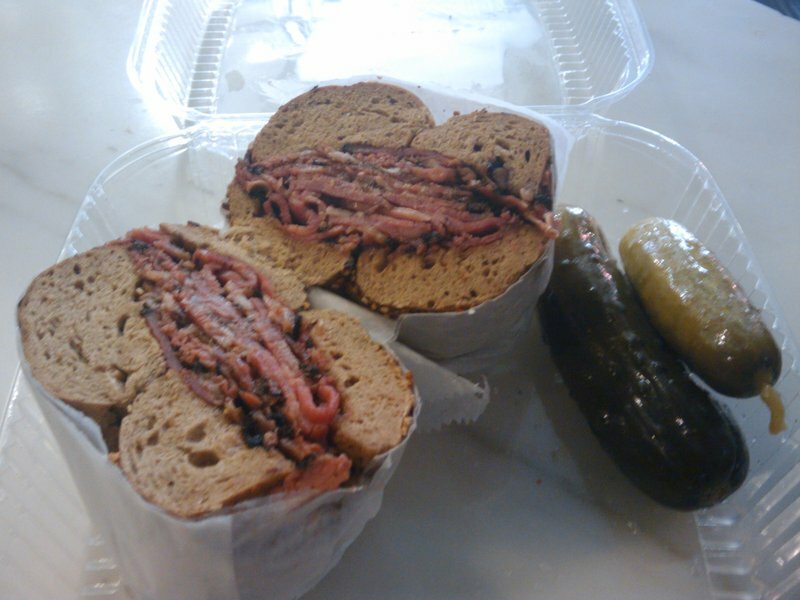 Murray’s is located in Avenue of the Americas 500, next to 13 St. It is a little bit expensive, but I think the bagels are worth every penny. I had to wait around twenty minutes to order and there is not a lot of space or tables availble. However, the ambiance is very nice. There are also chairs on the outside to sit down and enjoy on the summer day. You really get the feeling you are in a original New York joint, not in a McDonald’s where everything is like copy/paste. 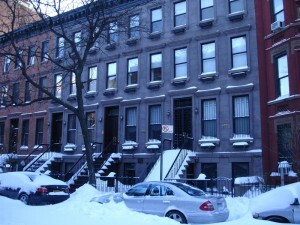 This entry was posted in life and tagged New York, new york city, nyc on March 8, 2011 by Xavi. One of the good things of living in the States is that I was able to discover good high quality beer and learn to appreciate it. Not Bud Light or Miller, that’s canned pee. Beers like Okocim and Delirium Tremens. Learn what an IPA and a Lager are and so on. So I was looking around for beer culture stuff and found the following cheers. I hope you guys enjoy the cheers. To the holidays—all 365 of them. And a cellar full of beer! Oh, where is the drink like old-fashioned beer? He that buys land buys many stones. He that buys flesh buys many bones. But he that buys good beer buys nothing else. So, let’s all get drunk, and go to heaven! A cold beer-and another one! but a damn sight more sincere. Nor ever once from the church to stray. 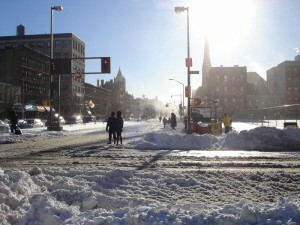 This entry was posted in life and tagged beer, New York, new york city on January 9, 2011 by Xavi. Below are some pictures from the December 2010 blizzard in NYC. 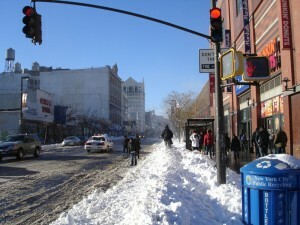 Below is the crossing between Malcolm X and 125 St.
Having to do deliveries wasn’t really pleasant for sure. 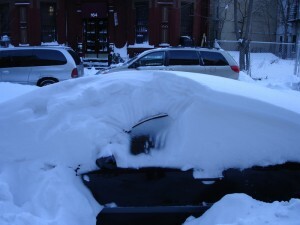 Here is a car completely covered in snow. Looks like the owner had to take public transport. 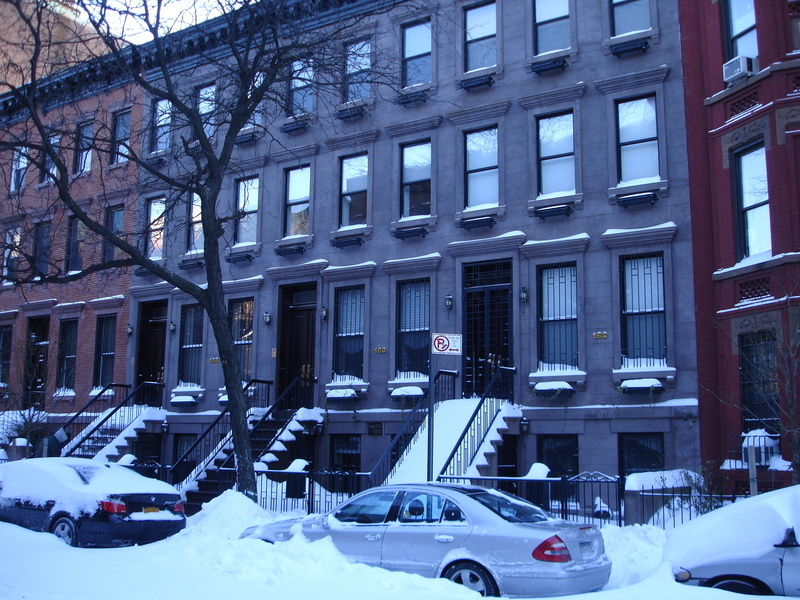 Last photo is of a townhouse in 128 St.
All the pictures were taken at around 1430 EST. 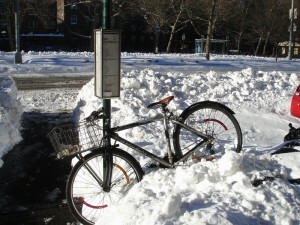 This entry was posted in life and tagged life, New York, new york city on December 28, 2010 by Xavi. I was riding home on the subway the other day and saw the following ad. I think it clearly shows that New York is not a republican city even when it can have a republican mayor. I believe the Tea Party doesn’t have a lot of followers here. 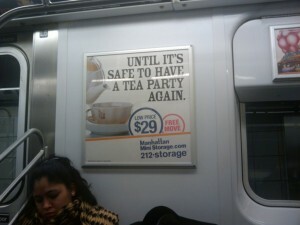 This entry was posted in life and tagged New York, new york city, nyc, Tea Party on November 14, 2010 by Xavi.